AmSpec Australia Pty Ltd is part of AmSpec Group, a global independent inspection and testing company headquartered in New Jersey, USA. From terminal operations to marine environments, our ship to shore services are trusted by the petroleum, gas, chemical, aviation and beverage industries. 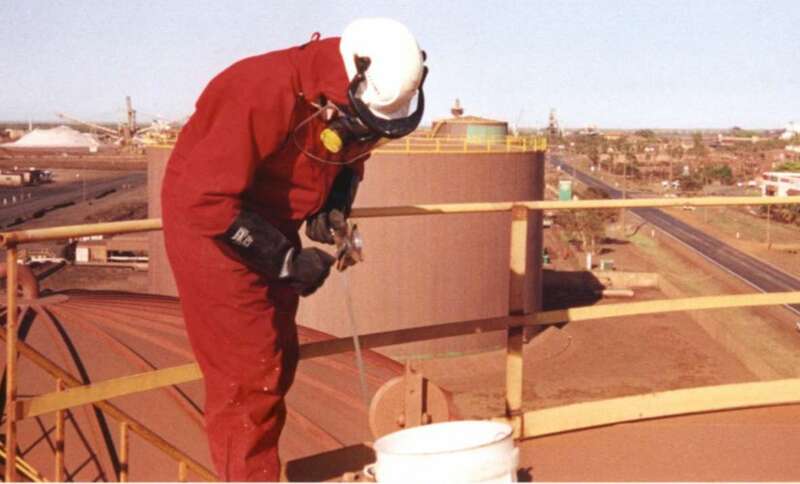 Ready to assure your operational performance, our business is focused on minimising risk through the safe, accurate and proficient transfer and storage of oil, gas and bulk liquids, along with a completely integrated solution to meet industry leading compliance, testing and inspection requirements. There's nowhere we won't go - we have a global network of qualified and experienced people who are supported by industry leading technologies and laboratories worldwide. Our technical and operational engineers and consultants work with you across every stage of the project lifecycle to facilitate the movement, storage and transaction of fuels and bulk liquids. We can provide the right people when and where you need them. Our labour manning solutions keep your operations running efficiently, providing flexibility and improving capability. If you are looking for a cost efficient strategy to rapidly upscale operational or technical capacity, our qualified professional labour can solve your internal competency requirements. Jetty operators and wharf attendants. Our fuel transfer services offer unique safety benefits, transparency and technical proficiency. Using our custom built bunker trailers and hardware, as well as implementation of robust delivery systems we manage the risk of handling fuel oils and lubricated oils in challenging environments. We are a trusted partner in marine hose inspection, testing, installation and certification. Whether you're an operator of a marine facility or terminal, our hose testing services are conducted on and offshore, catering for truck, terminal and dock hoses, as well as floating and submarine offtake and loading hose projects. We have your bulk liquid terminal operations covered. Specialists in tank calibration, settlement and roundness surveys our third party certification services utilise the latest technologies to deliver detailed computation and analysis to address your unique demands. From cargo survey and sampling, vessel integrity and end-product quality, AmSpec Australia provide integrated inspection and laboratory services to assure quality control throughout your entire supply chain. Backed by our proven track record, experienced technicians, qualified surveyors, and more than 40 labs worldwide, we support the import and export requirements of many of the world's oil majors, traders, refiners and terminals. Our industry expertise is frequently commissioned to solve unique industry problems. Working in the locations we do, there's not many situations we haven't come across. From identifying hazards and risks through to writing location specific procedures and providing technical expertise, we work systematically with our clients to add unique value to their operation. We invest in the latest technologies and proprietary software to offer industry leading reporting and calibration results. The nature of our working environment has dictated the need to fabricate customised and ancillary equipment in-house where customer project requirements exist, specifically to ensure our equipment is scaled to the sorts of jobs we are performing. As marine hose specialists we work closely with offshore oil producers and terminal operators in alignment with OCIMF guidelines to innovate new techniques and procedures that benefit the industry. We are happy to be called upon to apply our experience whenever there is a problem you need solved.